Evelisse Capó is a Doctor in Pharmacy, health and nutrition educator, and cooking instructor. 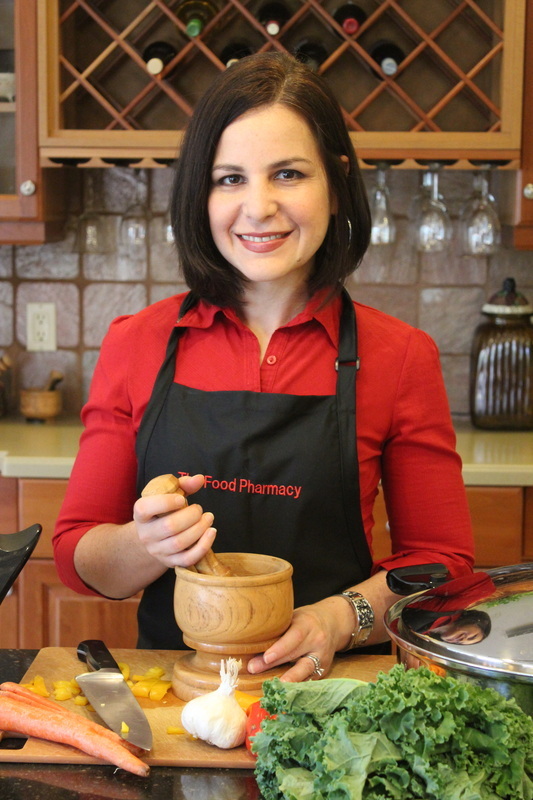 Dr. Capó is originally from Bayamón, Puerto Rico where she developed a love for cooking by her grandmother’s side. She completed a Bachelor's degree in Science at Purdue University and her Pharm D. training at the Philadelphia College of Science. While practicing clinical pharmacy, she witnessed the pain and suffering of many cancer patients in hospitals and long-term care institutions. After losing friends and relatives to this devastating disease, she started to question the effectiveness of the conventional approach to treating diseases such as cancer, diabetes, and heart disease. Dr. Capó observed the link between health and nutrition in her own family and decided to expand her career by informing the community about the benefits of a plant based diet to prevent and aid in the treatment of cancer, high blood pressure, high cholesterol, diabetes, and other life threatening conditions. Dr. Capó completed continuing education in vegetarian nutrition and health coaching and is now helping people use food as medicine in her consulting practice, The Food Pharmacy. Dr. Capó also teaches PCRM’s Food for Life Program, and facilitates CHIP (Complete Health Improvement Program) in Sarasota and the Southwest Florida region where she has resided for the past ten years. These courses cover many topics relevant to cancer, diabetes, weight loss and nutrition. She is also an instructor for the T. Colin Campbell Center for Nutrition Studies. She has been able to accomplish these endeavors with the love and support of her husband and four plant-strong children. For speaking engagements, interviews, TV or radio appearances please contact us here.